Why Private Catering in Dallas? 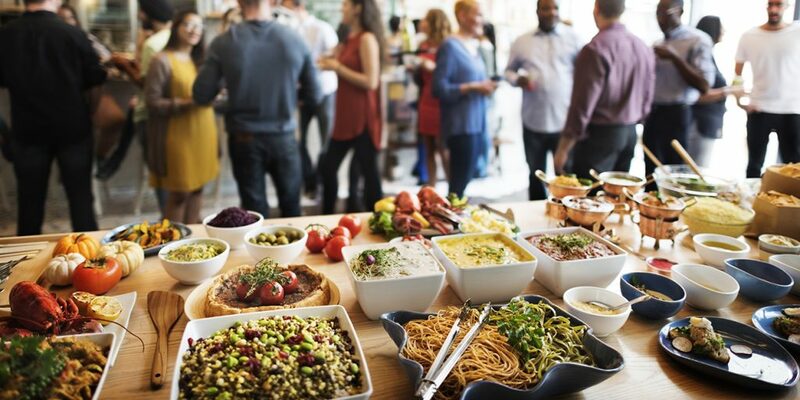 We love a good pot-luck dinner as much as the next person, yet there is something exciting about the addition of private catering to your special event. From bite-sized canapes to 3-course meals, private catering takes your party to the next level with exceptional service and delicious food. Taking away the hassle of cooking in a hot kitchen all day, private catering allows you to focus on what matters most at a party, your guests. Allowing you the ability to plan and execute a party with exclusive details, private catering takes one thing off your plate, by adding to your guest’s plates! A partnership with a catering company gives you options to try opulent foods, marvel at detailed desserts and dabble in tastes that are new and exciting. Catering companies in Dallas & Highland Park put together the finest of foods and menus to tantalize your taste buds and create culinary masterpieces for your mouth. The addition of private catering at your party sets the bar high for your guests and allows them an insight into diverse dietary styles and devotions. When privately catering an event, a host takes off the responsibility of perfectly preparing, executing, serving and cleaning up after their guests. When trying to sync up dietary restrictions and food preferences, a host can be overwhelmed with decisions. Private catering takes the decision making away and allows you the ability to mix a cocktail, spend a few extra minutes getting dressed for the evening, and welcome guests as they arrive in your home. Opulent choices are more readily available from private catering options as they specialized in diverse culinary options and have the commercial grade tools to properly plate, categorize and serve certain dishes. Aperitifs, dessert concoctions, and carefully plated multiple course meals are the specialty of TK Culinary in Dallas. Wowing guests is what private catering specializes in, and in Dallas, the wow-factor is always necessary and important! Allow private catering to take your party to the next level with the addition of exotic foods, cultural dishes, and exceptional customer service. Private catering doesn’t stop at the food, customer service standards all held high while plating, serving and cleaning up after your guests. The experience at TK Culinary doesn’t stop at the mouth, from dedicated attendants to staff that is knowledgeable in all sorts of culinary tastes, TK Culinary provides an experience from the kitchen to the dinner table.